for at least five full-size beach towels and a tough interior lining with three pockets. A silver anchor bag charm on a leather tie doubles as a nautical bracelet. Want more? 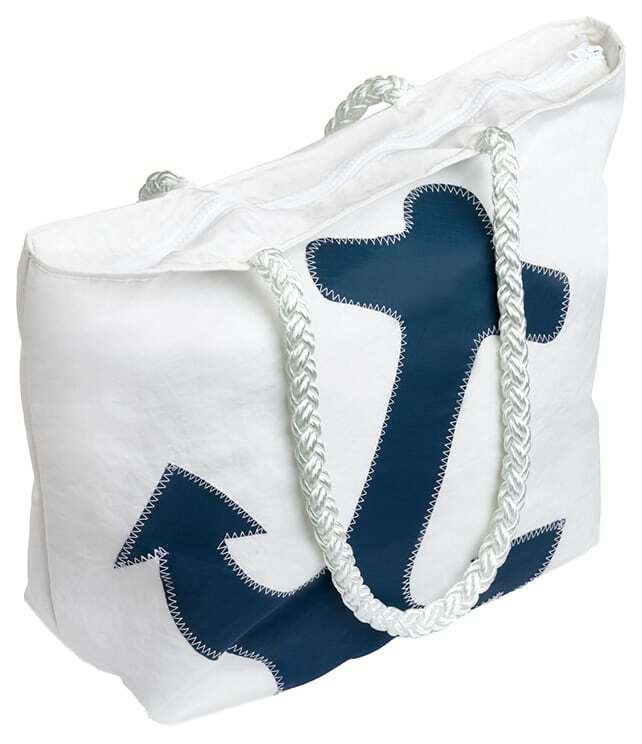 See more with this sail wallet and this sailor messenger bag.